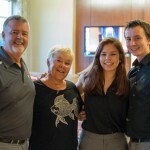 You are here: Home / Uncategorized / Pickleball Year in Review 2015! 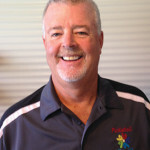 Pickleball Year in Review 2015! Happy Holidays Fellow Pickleball Supporters! 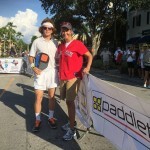 This is the Year in Review of “THE” exciting year we have had in the pickleball world in Southwest Florida. JANUARY – Four new courts were added to East Naples Community Park giving a total of 13 permanent pickleball courts and 12 temporary pickleball courts. Veteran’s Community Park – Four temporary pickleball courts added for a total of eight temporary pickleball courts. 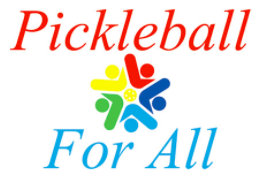 Pickleball For All a non profit 501 (c)(3) is created by Co-Founders, Executive Director Jim Ludwig and Assistant Director Carol Caefer. Realizing there is a need for people from all walks of life to live a healthier lifestyle, but can’t afford it. We are getting this organization started to help provide equipment, facilities and training for those in need. 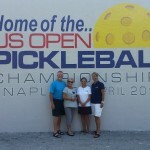 Chris Evon and Terri Graham choose Naples to bring the US Open Pickleball Championships! 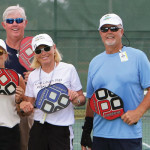 Due to the cooperation from the Collier County Visitors Bureau and the Pickleball community, they choose Naples over Las Vegas and Chicago. FEBRU ARY – Debbie Noble, Carol Stuckey and Pickleball For All work with physical education director Laura Mahn of Avalon Elementary School and put a program together to teach the 4th and 5th grade students pickleball. A Team of 25 professionals, all volunteers, spent two weeks 2 hours every afternoon working with the students, it was a huge success! 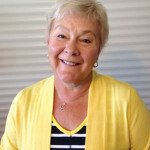 Jan Kindle of Teksoft Ventures generosity helps Pickleball For All purchase the equipment to bring pickleball to the community. 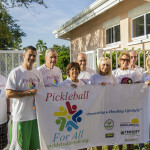 A team of seven brings Pickleball to the AMI Kids in Big Cypress. 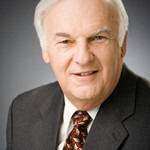 Jon Capozza, Jim Stuckey, Geoff Noble, Kyle Yates, Paul Leeder, Dave Lisson and Jim Ludwig. Pickleball For All donated the equipment to the facility for their use. 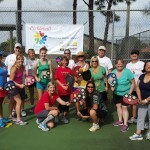 MARCH – The Southern Tropics Naples Pickleball Tournament a USAPA sanctioned event, is conceived by Nancy Robertson and me and the plans begin to secure a date February 26-28, 2016. 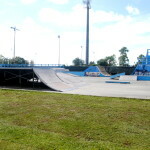 After several meetings with Parks and Recreation Director Barry Williams and Commissioner Donna Fiala, the once outdated and dilapidated skateboard park is earmarked for pickleball courts. Originally scheduled for seven courts after a few more meetings and some persuasion there will now be 12 courts. APRIL – Pickleball For All works with the David Lawrence Center to establish a court and a program to introduce pickleball to their clients. 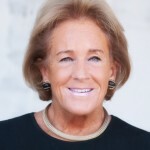 Carolina Jimenez, Carol Caefer and I trained the staff how to play and introduce pickleball to the clients. Pickleball For All donated the equipment for their use. Sally Hudgins Year End Party for those snowbird pickleball players headed north attended by Commissioner Donna Fiala a great supporter of Pickleball in our community. MAY – Wilson Sports, Spirit Productions (US OPEN Pickleball Championships) and Pickleball For All donated Pickleball paddles, balls, basketballs and soccer balls to Avalon Elementary School, nets and courts are on their way! JUNE – Work begins on the design of the new courts at Veterans Community Park where the volleyball courts are. Original plan is for six courts with some exchange of ideas between engineering, Dominic Catalano and me; we found room for eight courts. JULY – A quiet month but continued planning for the US OPEN Pickleball Championships and our Southern Tropics Naples Pickleball Tournament is progressing. There was plenty of hot pickleball though! AUGUST – Paige Mitschele, Debbie Noble and Nancy Harper with a team of volunteers head up a very successful pickleball introduction to all of the Physical Education teachers in Collier County. SEPTEMBER – An agreement is made with Kinexis Sports & Rehab to handle all of the Physical and medical needs for the US OPEN and Southern Tropics Pickleball Events. Kelly & Mike FGCU Students supporting Pickleball For All! Pickleball For All starts working with FGCU students to help promote the organization and meet their volunteer requirements at school. 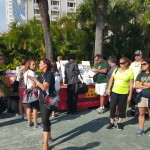 OCTOBER – Carol Caefer and I work with Tracy Bowen, Director of Physical Education for Collier County, and present pickleball at SHAPE Florida in St. Petersburg, FL. There was an expectation of 25 to 35 attendees in our first demonstration……..135 showed up….oops change of plans! 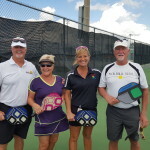 Paige Mitschele, John Flanagan, Tracy Bowen, Jim Ludwig, Carol Caefer, Bill Case bring pickleball to Palmetto Ridge High School. 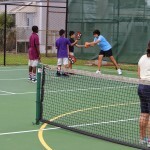 There were nearly 550 students exposed to pickleball this day…. an amazing feat! Pictures were taken before the end of the day! Halloween on 5th – After working for 1 ½ years and being told it could not be done, we were able to bring pickleball to 5th Ave in Naples. As reported by the authorities over 30,000 visitors came by the event that night. Thanks to the many volunteers, Kyle Yates, Julie and Larry Scott of Paddletek, the Elliots…..Rachel, Josh, Jodi and Rob of Engage Paddles and the many sponsors for their support! WAIT! 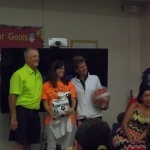 is that John McEnroe with Terri Graham? Or is it our very own Kyle Yates? Started working with Alexandria Whalen of Lee County Schools to introduce pickleball to the Physical Education teachers. NOVEMBER – Cloud 9 Homewatch, Dry Zone Inc. and Be Brilliant networking group choose Pickleball For All as their host nonprofit and raised $700 for our cause. 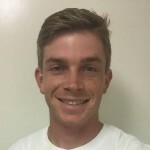 Kyle Yates becomes the second member of the Pickleball For All Board. Plans are in the works for a new park out by the fairgrounds off Immokalee Rd., Mike and Janet Minear, Tom and Sondra Greer and I are working to assure there are pickleball courts there as well. Referee training program is in the works, headed by Jon Capozza, Donna Curry, Dominic Catalano, Nancy Robertson, Bill Case and Bob Hall. DECEMBER – Brendon Long, Judy Williams, Baerbel Gurland, Paige Mitschele, Tom Hornbuckle and I introduced pickleball to the teachers of Naples Park Elementary School. Working with Collier County, we are able to get the surface of the 12 new courts at ENCP upgraded to Deco Turf a cushioned surface used at the US OPEN Tennis facility in Flushing Meadows New York. California Sports Surface is donating Deco Turf for the US OPEN Championship courts for the next three years! Plans are made for the Florida State Pickleball Championships December 9-11, 2016. This was a great year for pickleball and 2016 is proving to be even better! Thank you for all your help and support I look forward to working with you this coming year! 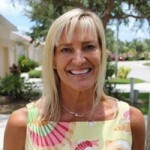 I want to thank my wonderful wife Carol for her support and most of all, her patience for the crazy hours I keep! 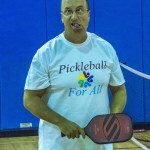 MARCH 4th – Pickleball at Germain Arena, this is fundraiser for Pickleball For All. During the Everblades hockey game that night, we will have a court in the main concourse. There will be a section of seats dedicated to the Pickleball community for every ticket we sell a portion will go to Pickleball For All! APRIL 26 – May 1 US OPEN Pickleball Championships Event! 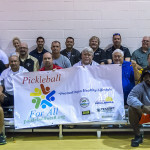 https://www.pickleballforall.org/wp-content/uploads/2018/06/image001-1.png 0 0 admin https://www.pickleballforall.org/wp-content/uploads/2018/06/image001-1.png admin2016-01-02 19:35:092016-01-02 19:35:09Pickleball Year in Review 2015! 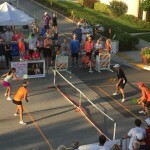 Referee’s Needed for Tournaments Pelican Sound NEW Pickleball Courts!